However, the Kurdish people from Sanandaj overcome the level of these standards and the city is remarkably friendly. The city is the second largest home to Kurdish people, so it’s a great place to learn about history, and culture of this ethnic group. In the city, you will see some elderly especially men with traditional dresses and baggy trousers, while, youth generation are modern, follow fashions. The city is also a great place for people who love to go trekking in the scenery areas all around the city. Here, we are going to talk about Sanandaj in brief and introduce this beautiful city to you. Sanandaj used to be named “Sisar” in the travelogue of Ibn Khuradadhbib and Qudameh, which means “30 head”, Si stands for thirty and sar for the head. Local Kurdish people in Sanandaj called the city “Sna”. In the Avesta (Religious book of Zoroastrianism) it is referred to as “hawk” or “eagle”. You may also hear “Sna dezh” in which “dezh” stand for the fort. 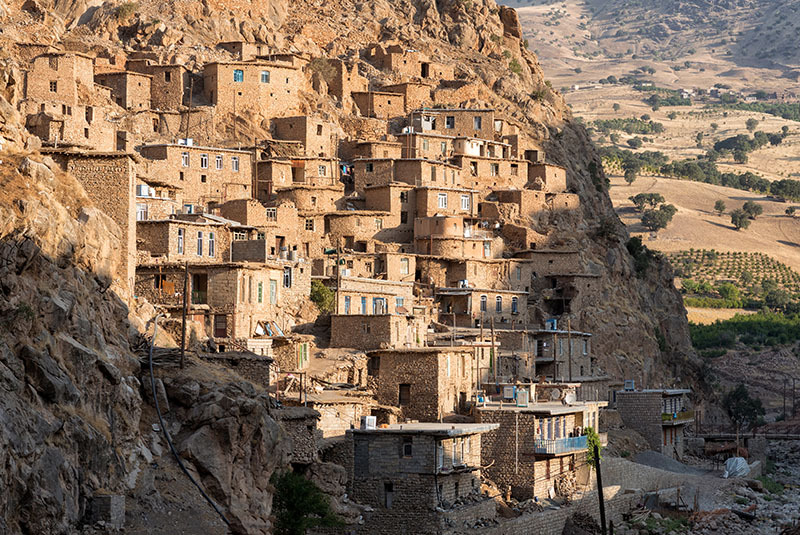 Sanandaj is located in the northwestern part of Iran, at the foot of Mount Abidar, which is about 153 km (95 miles) far from the border of Iran and Iraq with an elevation of 1,538 meters (5,046 ft.) above sea level. Sanandaj is very popular for its great nature, freshwater springs, and mountainous areas which attract many visitors all over the year. In Sanandaj, summers are hot, arid, and clear, while winters are very cold, dry, and partly cloudy. During the year, the temperature typically varies from 22°F to 96°F and is rarely below 11°F or above 100°F. The best time of year to visit Sanandaj is from late June to late August. According to 2016 census, Sanandaj has a population of about 412,000 inhabitants in urban area, and the city is considered as the second largest city with Kurdish population. 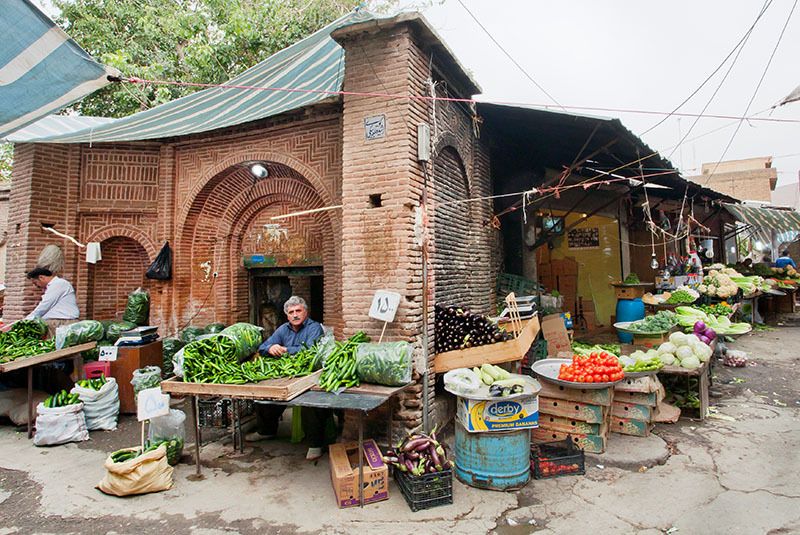 The city also had an Armenian minority who gradually emigrated from the city. The Ardalani dialect of Kurdish is spoken in Sanandaj and its surroundings. From the historical evidence, it is believed that Shah Soleiman Khan Ardalan, who was the governor, chose Sanandaj as the center of his government in the year 1046 AH. Before Sanandaj become the center of government, it was a small but ancient village. He built a full strength castle on top of a hill. During Safavid and Qajar dynasties some mansions, baths, mosques, and markets added to the castle. Sanandaj is home to Mysticism since the third century and Kurdish people are the followers of this belief. They held their ceremonies in Takyas and Khanqahs on weekly basis. There are two main sections of this mysticism, Ghaderieh, and Naghshbandi. 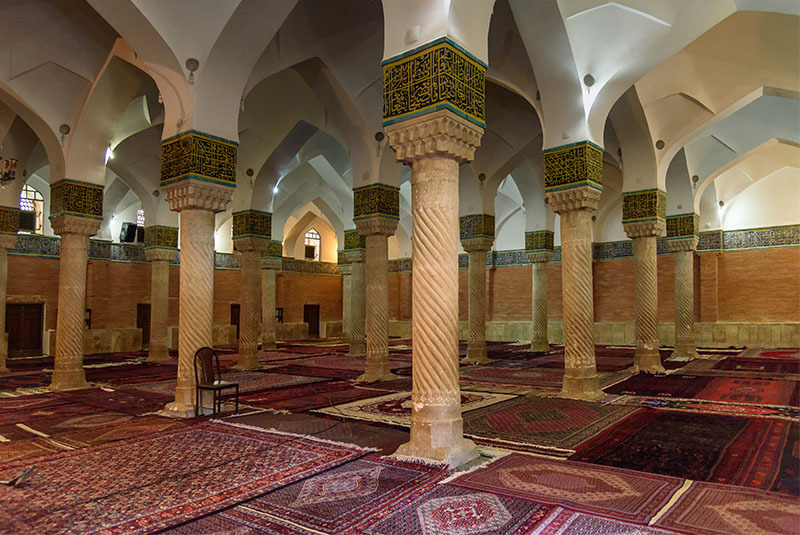 Sanandaj is the city of mosques with more than 140 mosques in the city. Therefore, one of the most beautiful and historical attractions of the city is the Jame Mosque which is dated back to the Qajar Dynasty. 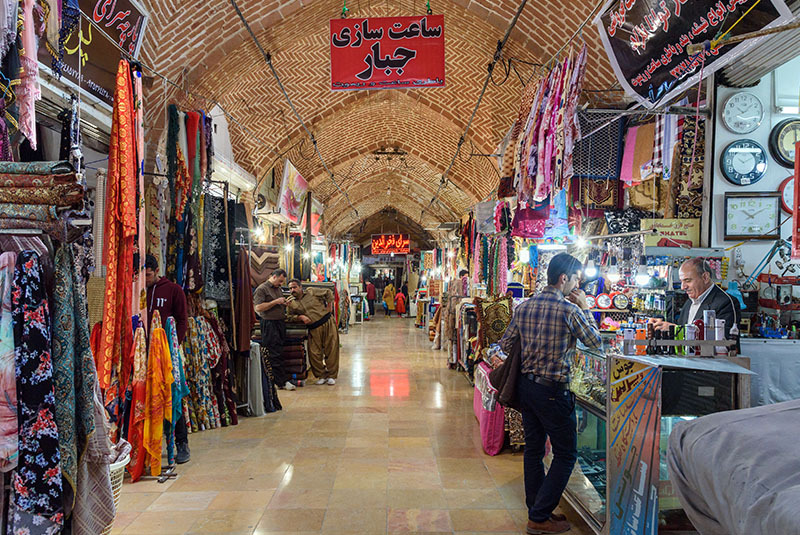 As in every city in Iran, the local Bazaar is the other historical sightseeing with more than four hundred years old history. It used to be in the shape of a rectangle, but during Pahlavi, the bazaar divided into two sections, the northern and the southern parts. Khosro-Abad Mansion is the other monument with a unique building in the city. The building has wonderful brickworks, Orsi windows, and a cross-shaped pond which resembles Persian Gardens. Vakil Mansion, Moshir Diwan Mansion, Khan Bath, Hajar-e-Khatoon Shrine, Pir-Omar Shrine, Pir-Mohammad Shrine, and Gheshlagh Dam are the other popular places you can visit when you travel to Sanandaj.